Little Passports asked us to review their Global Adventure for Kids geography educational toy subscription thingy, and since Shark Boy loves maps it seemed like something we would enjoy. It is a clear winner. Kids love to get mail, and he gets a package each month. 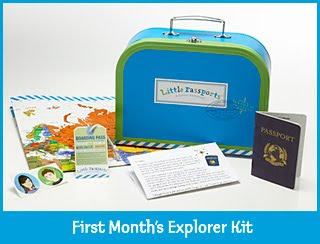 The child receives a suitcase the first time, with a boarding pass, a large map of the world, a passport, a personalized letter from the globetrotting characters Sam and Sofia. Then each month a new package comes from Sam and Sofia with a little gift from whatever country they are in, a postcard, stickers and a passport stamp, and a boarding pass. 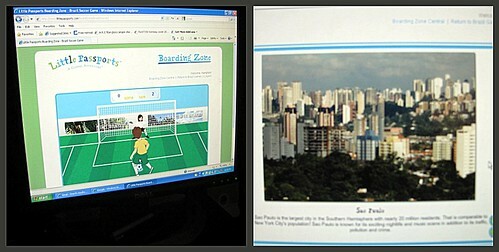 The boarding passes have a code that you use to sign into the Little Passports web site and play games - trivia, puzzles, for Brazil there was a soccer game, and printable photographs of the featured country. I honestly can say the quality of everything from Little Passports has been first rate, and he is learning - finding things on the map and learning about each country. It's a great, fun teaching tool. We are looking forward to each new package that comes! Nashvillians! Have I got a deal for you? Yes I do! 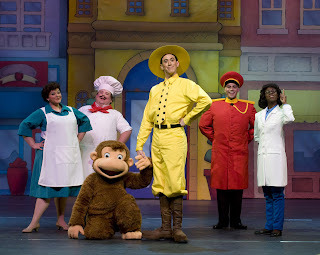 Curious George is coming to TPAC and I've got a discount code on tickets. Squee!! A VEE Corporation Production in association with Universal Pictures Stage Productions and Houghton Mifflin Harcourt. CG: ® & © 2009 Universal Studios and/or HMH. Photos courtesy of VEE Corporation. Look how CUTE! In this musical, George ends up on a mission to help Chef Pisghetti’s meatballs win a world-famous competition. This adventure takes him to Rome and The Golden Meatball Contest. Bear LOVES meatballs! He will so be into this. I'm a little confused. Not by maps or anything, but more the photos of your computer screen - the mental gymnastics required to understand this are mad. That is the same computer you blog from?! My oldest son who is 4 year old loves Curious George most of the time and goes through phases where that's all we read.. then he gets too stressed out and can't handle that George always gets in trouble and then we have to stop reading them for a while! 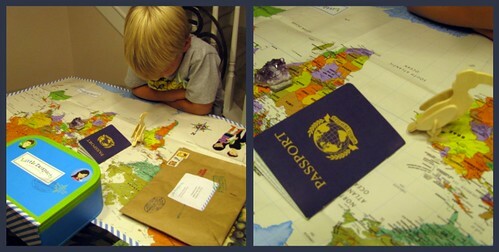 I think that little passports suitcase is such a great gift idea - my son would love that! Thanks for the great review! mo - you kill me dude. Loukia - Little Passports is so fun! When a new package arrives it's really exciting, and each month you solve a word puzzle to find out where you'll go next month. Super cute. And we've got LOADS of Curious George books too - both boys like him. Who doesn't like him? What age group do you think this would be best suited for? Well, cowboys of all ages will love it, but you may want to find a toddler to go with you. Heh.